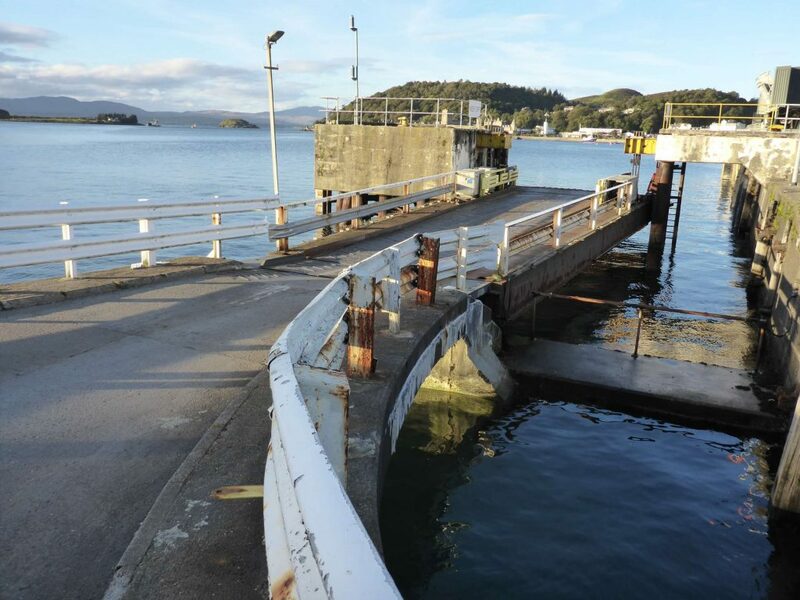 Caledonian Maritime Assets Limited (CMAL) has published an invitation to tender to identify a principal contractor to supply a new linkspan at Oban Ferry Terminal. The linkspan, which is the terminal’s original linkspan and is predominately used by the Mull ferry service, has reached the end of its serviceable life and needs to be replaced. The existing support structures will also be strengthened as part of the project. The contract will be delivered on site in February and March 2019. It will use cutting-edge building information modelling (BIM), an intelligent 3D model process that supports construction projects with tools and insights to assist planning, design and engineering decisions. The berth will be closed during the works. Ferry operator CalMac will work to minimise any disruption during this period by running an amended timetable for the duration of the contract, operating from berth number two. Detailed information on temporary service changes will be published on the winter 2018 timetable later this year. “This contract is part of our ongoing programme of harbour upgrades and modifications across our network to provide safe and efficient lifeline ferry services to communities around Scotland. This particular project provides the appointed supplier with a unique opportunity to develop skills in 3D modelling and gain experience delivering a project using BIM. Interested suppliers can find out more and ask questions at our supplier information day later this month. The tender process is being managed through Public Contracts Scotland (PCS) and CMAL is hosting a supplier information day on Wednesday 21st March 2018. Oban Ferry Terminal is owned by CMAL and operated by Calmac Ferries Limited (CFL), which provides vehicle and passenger ferry services to Mull, Tiree, Coll, Barra, Colonsay and Lismore. CMAL owns property at piers and harbours at more than 26 locations throughout Scotland. CMAL is delivering a programme of investment and improvements, which will create better facilities. In addition to its pier and harbour facilities, CMAL owns 32 ferries, with two currently under construction. All 32 vessels are leased to CalMac Ferries Ltd for use on ferry services on the Clyde and Hebrides. In addition, two ferries are currently under construction.